This gorgeous kimono inspired frock is made from… a kimono! It was made for me by a talented Japanese designer named Kazuko Nakazuma. The dress itself was a gift from a good friend Yuko. 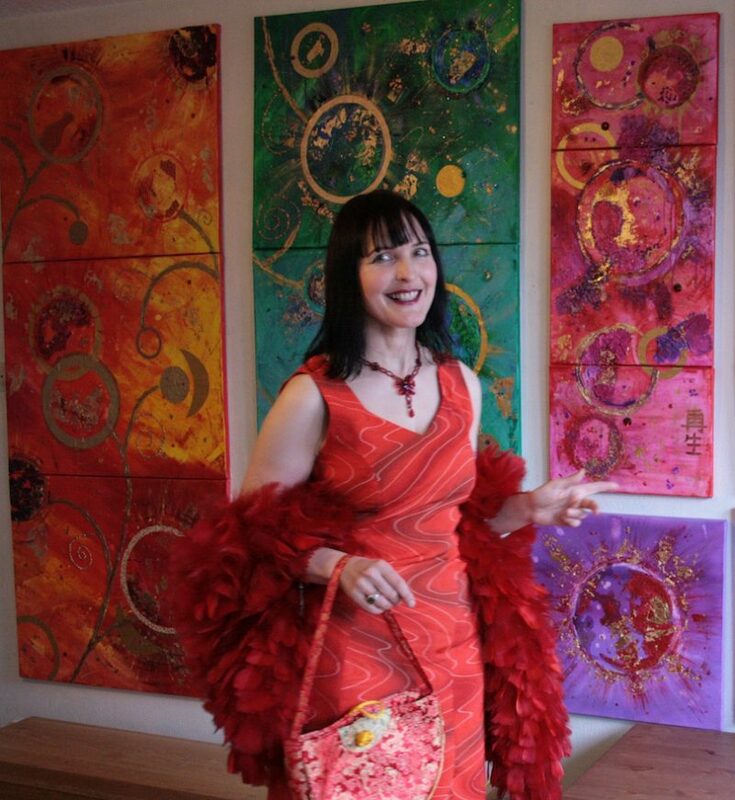 She knows how much I love the vibrant and decorative Japanese garments which have inspired much of my artwork. In addition, it’s interesting to see so many Japanese women wearing them out and about, particularly at formal occasions. However, kimonos are challenging to put on. Wearing one requires several under-kimonos then the obi (sash), with ties to keep everything in place. You may need help! As a result some people even gain a license to become kimono dressers at weddings and coming-of-age ceremonies. Many Japanese women must have beautiful, traditional garments that are languishing in their wardrobes. And nowadays Japanese women are like any others. They prefer to wear more practical modern fashion. Hence Kazuko had a great idea. Why not turn old kimonos into something modern and wearable and bring them out of hiding? Where did all the fabric come from that Kazuko uses? Some of them were old kimonos that friends gave her and some she bought. Many families own ornate silk kimonos, ornate family heirlooms that are passed down from mother to daughter. So the ones Kazuko recycles are more everyday ones. What a great way to breathe new life into beautiful clothes that would otherwise gather dust. The chiyogami paper that I use in much of my work is inspired by kimono fabric. Kazuko told me to choose the the one I wanted for my dress. In her workroom were several drawers of old multicoloured kimonos, all gently unpicked and waiting to become something new. Although she makes a lot of easy-to-wear clothes from kimono fabric such as loose tops, there was no way I was having something practical. There was to much stunning fabric to choose from. Nonetheless, the right one stood out a mile. It had to be the red. It’s lovely to write about my kimono inspired gift because I’ve recently been in contact with Kazuko again. In a world where friendships are fleeting, it’s great when someone remembers you years later. The whole process turned into an adventure in itself, since Kazuko also took me to an art event . I’ll perhaps blog about that soon too. She also made me a vegetarian meal at her home. Having lived in Japan before, I was of the opinion that Japanese people don’t invite visitors to stay. I’d say that’s mostly true as the Japanese are private people, which makes it all the more wonderful when you visit them at home. 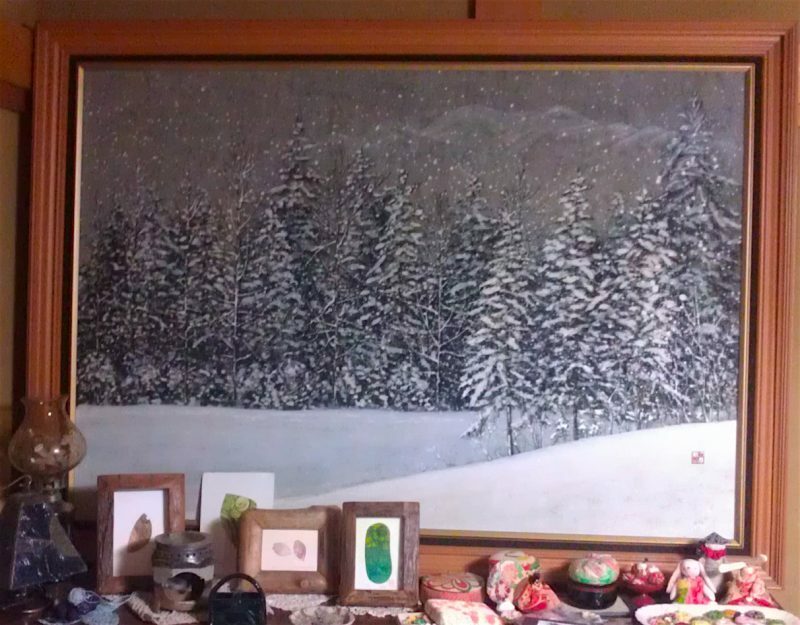 By the way, Kazuko’s mother did this pretty impressive winter scene painting. Finally my holiday ended and I flew back to London. Then a few weeks after my holiday in Japan a package arrived. 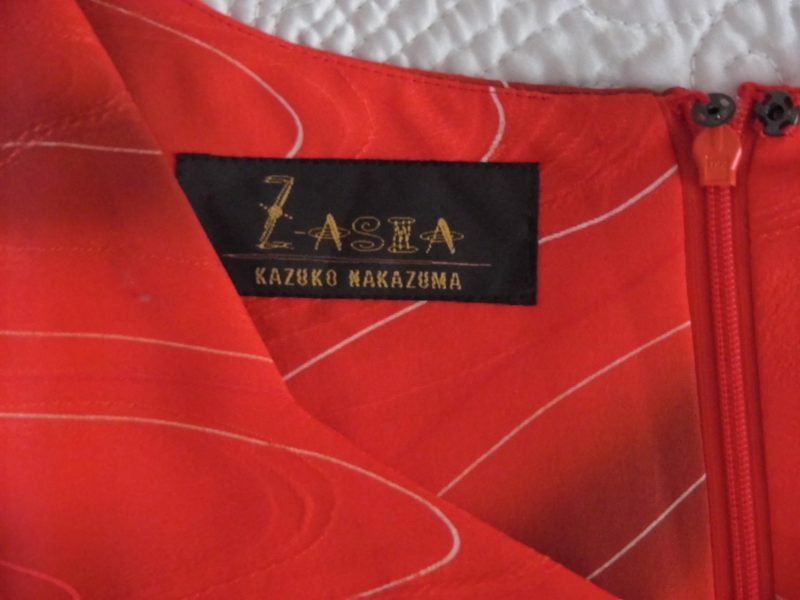 All beautifully packaged in red tissue paper and with Kazuko’s label sewed into the back. I’m very happy with the result. The dress is a simple shape, which I like because the colour, sheen and pattern fabric stands out. It’s very easy to wear, fastens with a good old-fashioned zip and is fully lined. Like most of my dresses it’s sleeveless. Sleeves make me feel claustrophobic! I know they’re a good idea in winter, but that’s why God invented cardigans. Naturally, you can see I’m partial to the colour red. Wearing it always makes me feel happy. Which is just as well, because it’s an Aries colour if that’s your thing. I teamed my new kimono inspired dress up with more red. 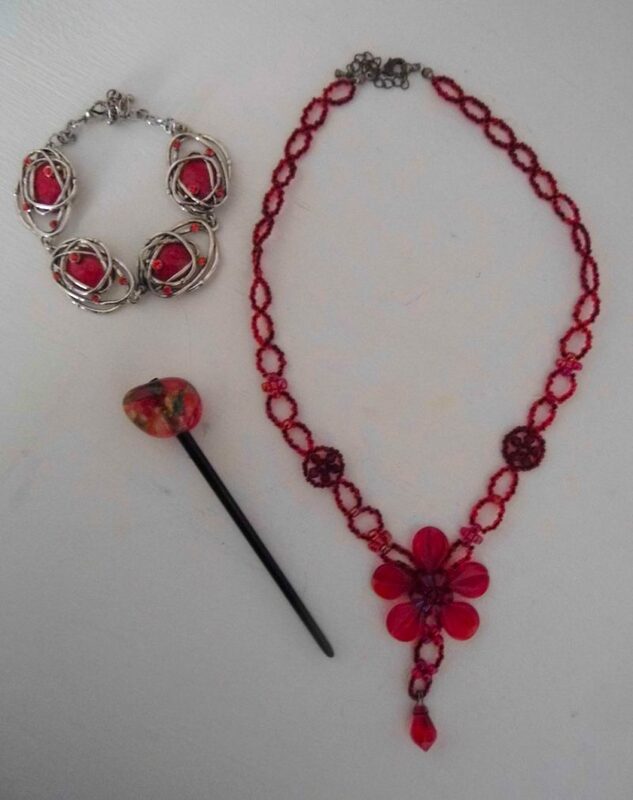 A bracelet from Largs, a red bag from China via Italy, a red sakura necklace from Kokura and a red hairpin from a Japanese student. 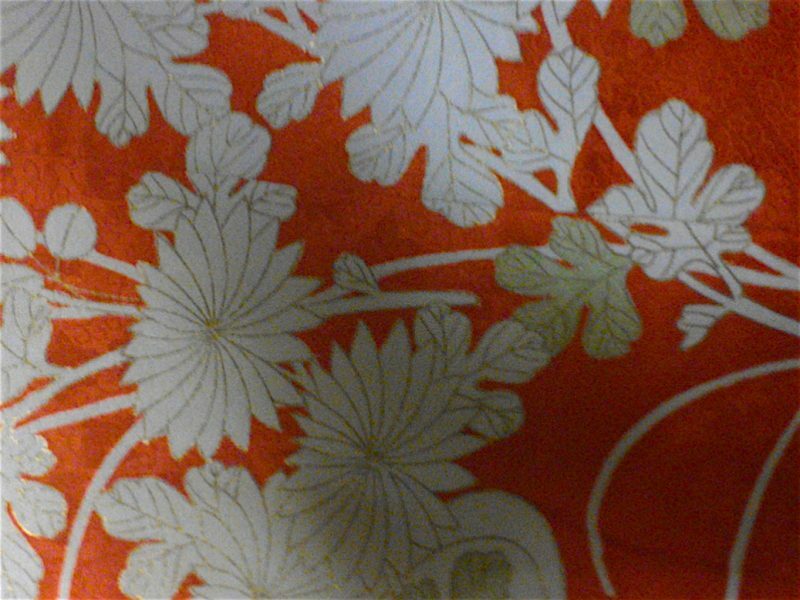 Furthermore, it’s fascinating to know that this used to be part of a real life kimono! What kind of adventures did it have in its former life, I wonder. 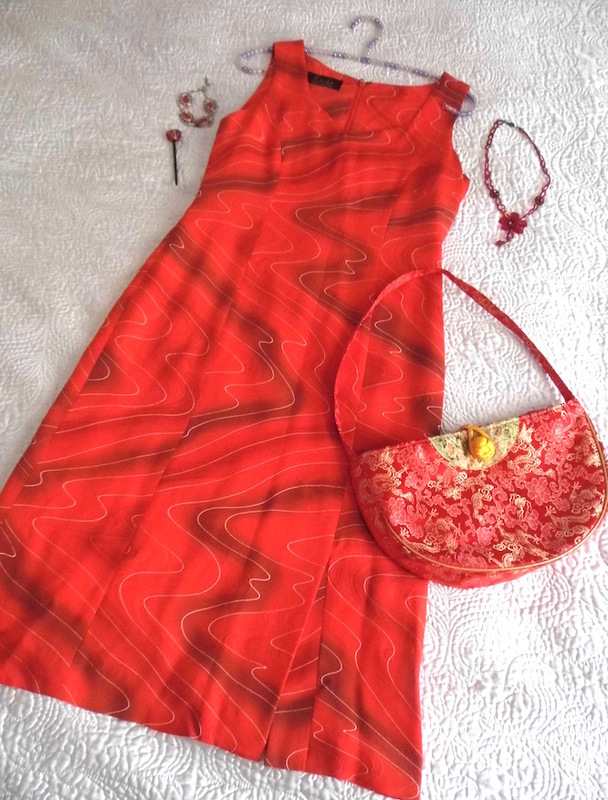 I’ll be taking my red frock to Tenerife this winter (so won’t be needing a cardy). It’s a wonderful, contemporary on a traditional garment. 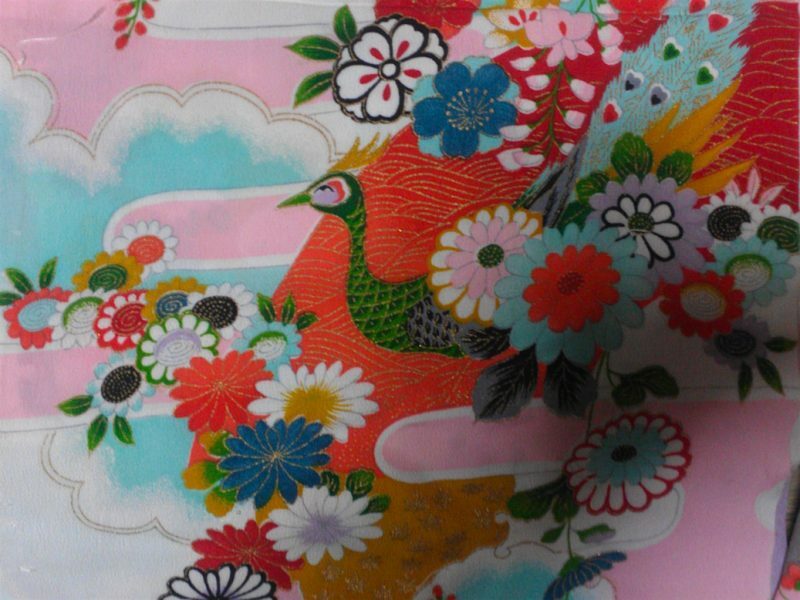 Not only do I have a dress in my favourite colour, but a one-off gift combining modern and traditional Japan. In conclusion, why not see more of Kazuko’s work on her website? She also has a more contemporary range here, but you’ll have to brush up on your Japanese to read it! Luckily she speaks good English if you want to get in touch. Meanwhile, this photo by the wonderful Mimi Galore is part of a photographic story. You can read about here. Do you have a kimono? Tell me in the comments below. "Sketching on North Berwick beach"
"Barbara Hepworth Museum: Favourite places to see art"